Don't be a sucker this summer, combat mosquitoes naturally with Mozzigear! Don’t be a sucker this summer, combat mosquitoes naturally with Mozzigear! Summer is finally here and so are the pesky mosquitoes! It’s time for long days relaxing outside on the deck with the occasional turn of a sausage on the barbecue as the kids play on the grass, but it’s hard to enjoy it when you’re being feasted upon by mozzies. 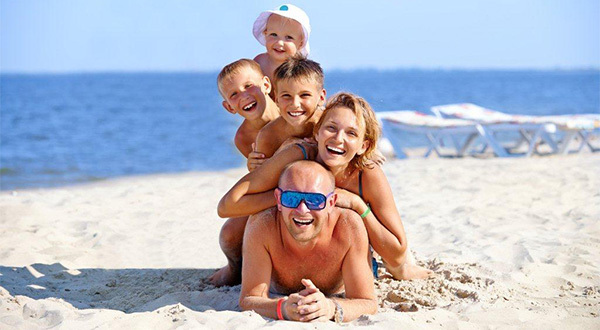 To make sure you get the most out of the warmer months, arm yourself with Mozzigear – a must have this summer and an all natural, Australian owned range of products perfect for both warding off and treating those itchy bites. No one likes to smother themselves in strong smelling, chemical laden insect repellent sprays, let alone apply them to our children. 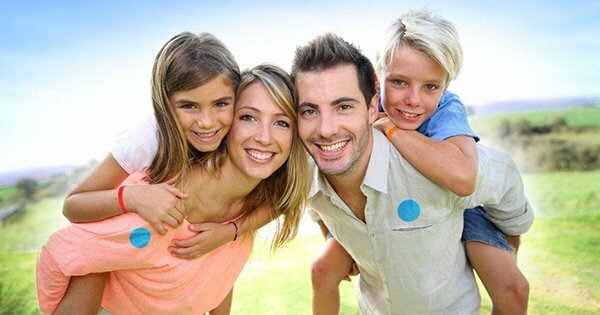 We love Mozzigear here at Babyology, as seen in our previous Mozzigear post – Mozzigear is 100 per cent natural and DEET FREE (diethyltoluamide) so the whole family – from the youngest to the oldest and even those with sensitive skin – can be bite free! Mozzigear make it super easy to keep the mozzies at bay with Mosquito Bands. Great for children aged four and over, the Mosquito Band is a citronella scented silicone bracelet that is non toxic, waterproof and lasts up to 48 hours. Mosquito Bands come in a rainbow of colours, there’s even a fun glow in the dark option. Available in packs of two bands for only $7.95 or a value pack of six bands for $19.95. The Mosquito Patch is awesome for those looking for a safe, non toxic option for babies and young children. 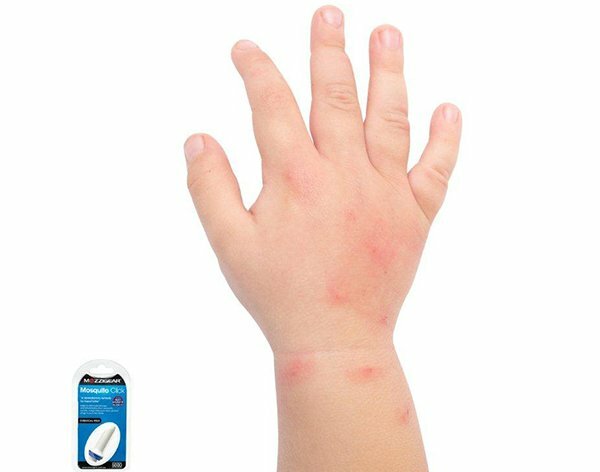 Requiring no skin contact at all, simply apply the citronella oil adhesive patch to clothing or items around the child, for up to 12 hours of insect protection. Handy for when outside or on the go (keep a couple in your nappy bag), they’re an absolute steal at only $9.95 for a pack of ten. Offering a much more accurate application than a spray, Mosquito Wipes are a fantastic alternative. Filled with citronella oil, aloe vera and vitamin E, the Mosquito Wipes are just as soothing on the skin as they are refreshing – all while protecting you from mozzies. At $9.95 a packet, they’re a must have for the car and pram pocket. If you’re wanting a citronella alternative, the Portable Ultrasonic Mosquito Repeller is pretty spectacular. Ideal for people with sensitive skin, the Repeller uses an oscillating ultrasonic sound wave to help repel a range of mosquito species. Simple and safe to use, it repels mozzies up to three metres away. It costs $19.95. Lastly, if you’ve been unfortunate enough to be bitten before applying your Mozzigear preventables, the Mosquito Click offers a new clinically proven remedy. Mosquito Click eliminates the itching and inflammation from insect bites (even jellyfish stings) using a small electric current. Made in Italy and clinically tested, the Mosquito Click is suitable to use on everyone, even young children aged from three months. Small enough to carry everywhere, Mosquito Click device is priced $19.95 and good for 25,000 treatment clicks, with no expiry date or need for batteries. To ensure you’re prepared for combat, kit out your mozzie arsenal ready for the warm nights ahead. 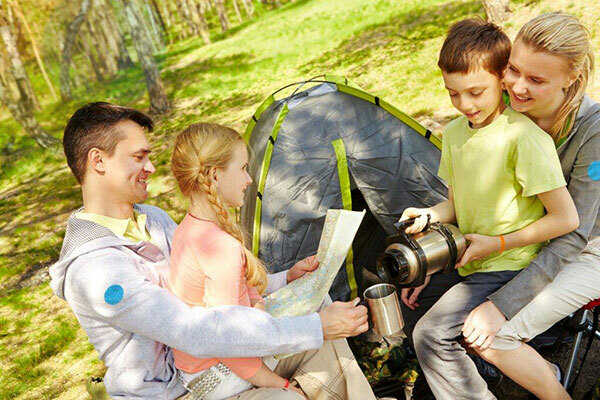 You can find Mozzigear online or locally at My Chemist, Anaconda, Chemist Warehouse, Aussie Disposals, Mitchel Disposals, Bakpakka, Down Under Camping, Lyal Eales Stores and other good chemists and outdoor/camping stores.